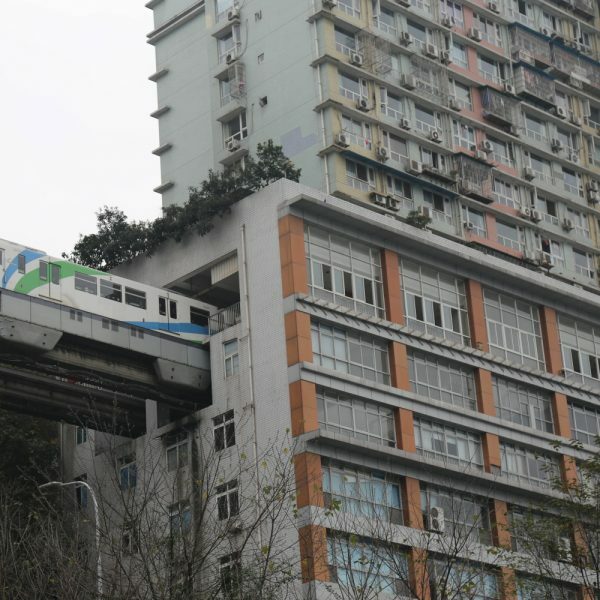 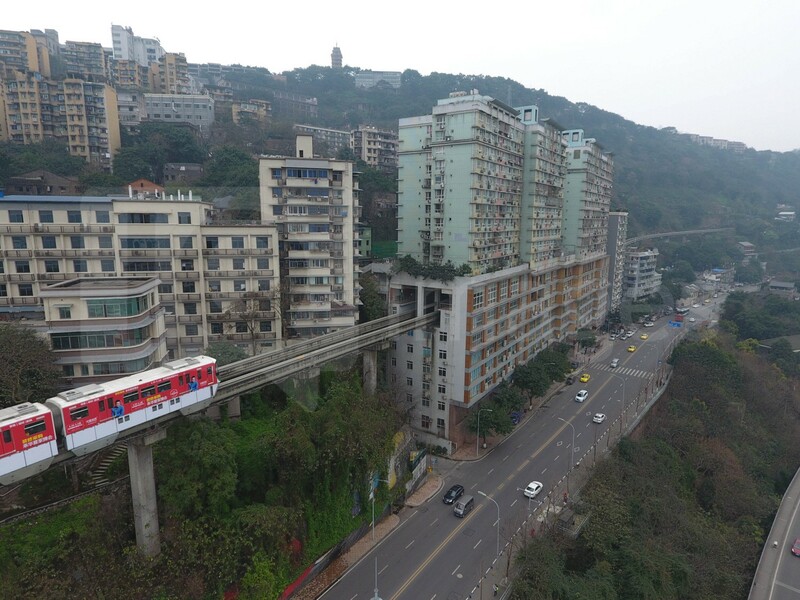 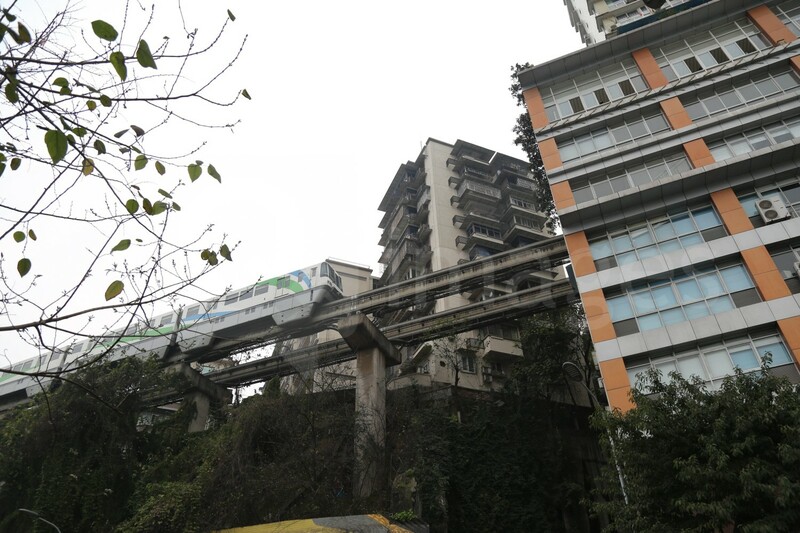 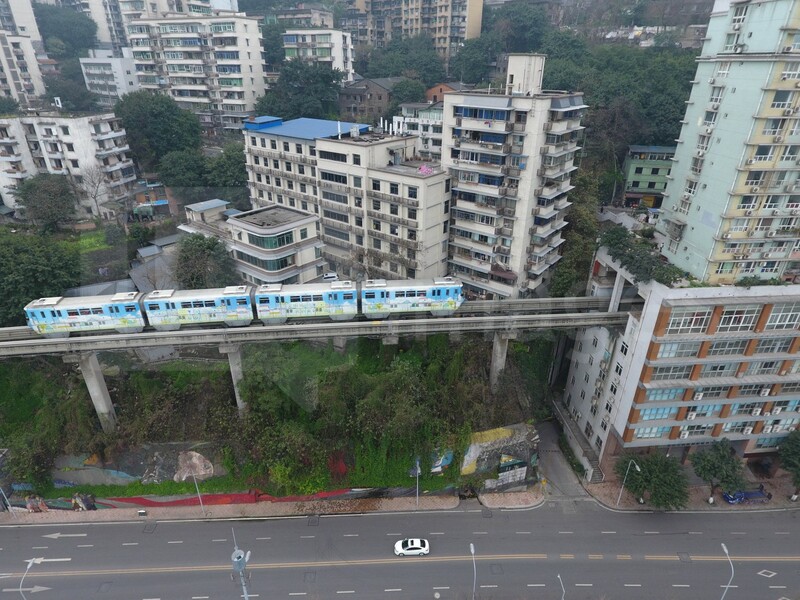 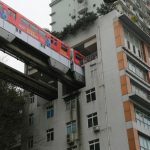 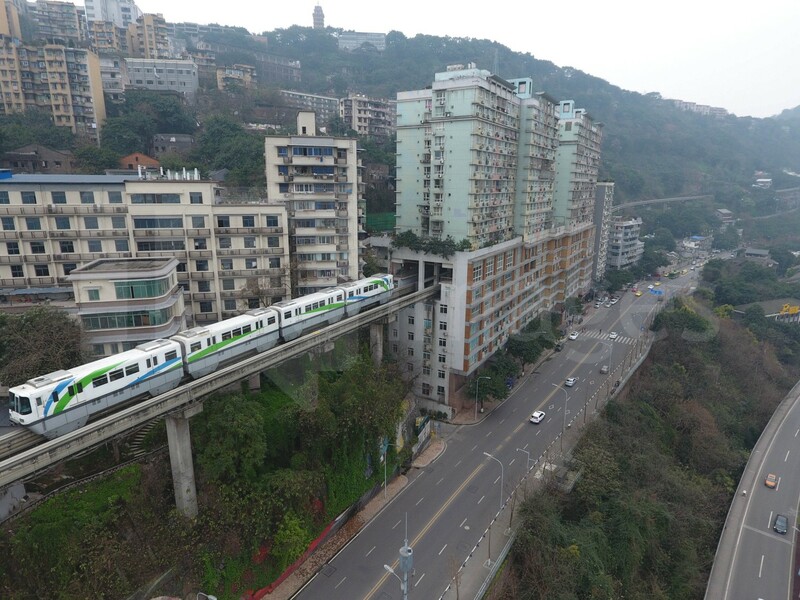 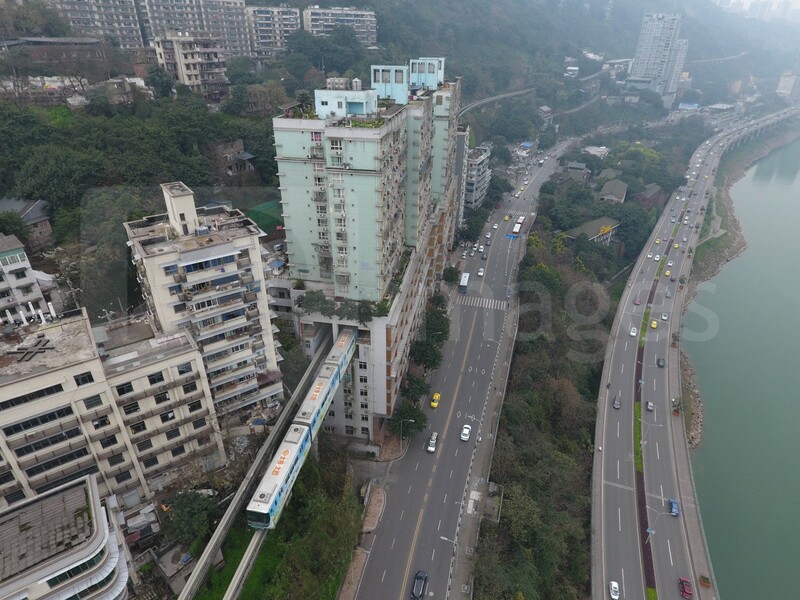 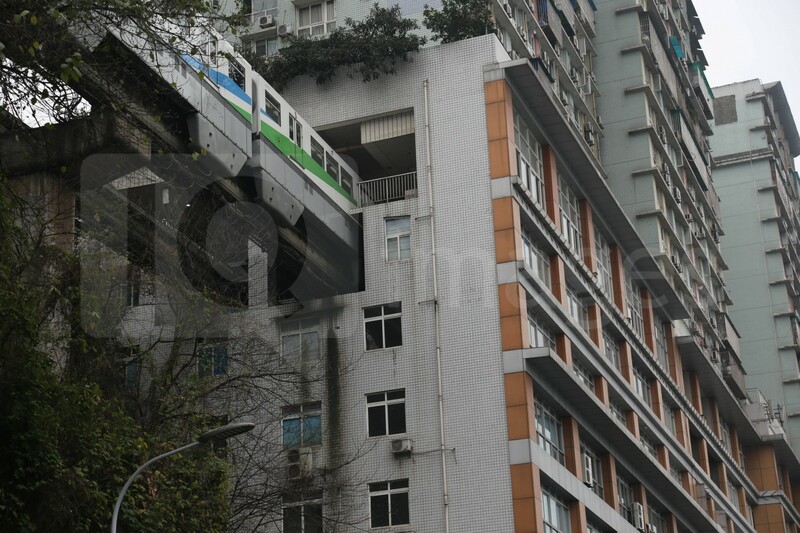 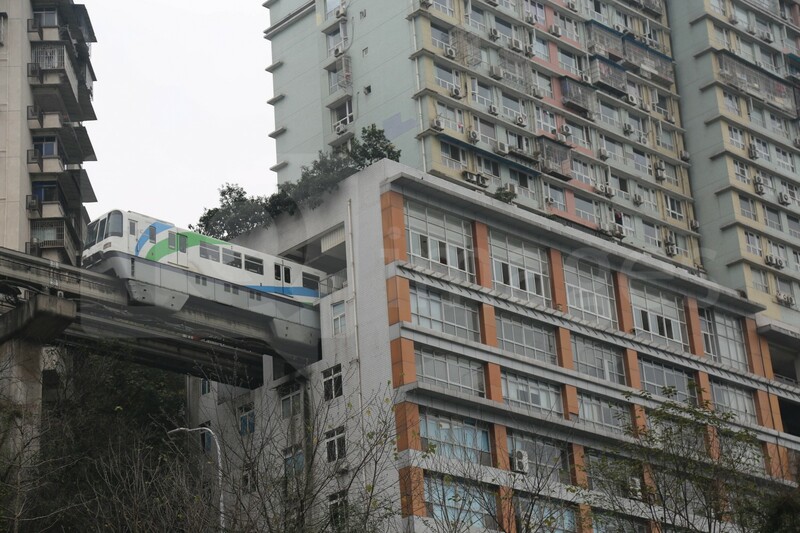 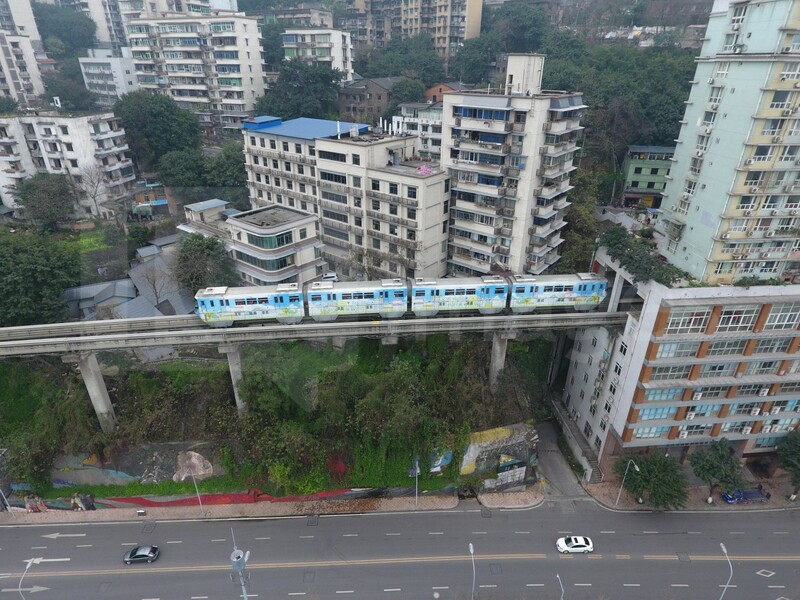 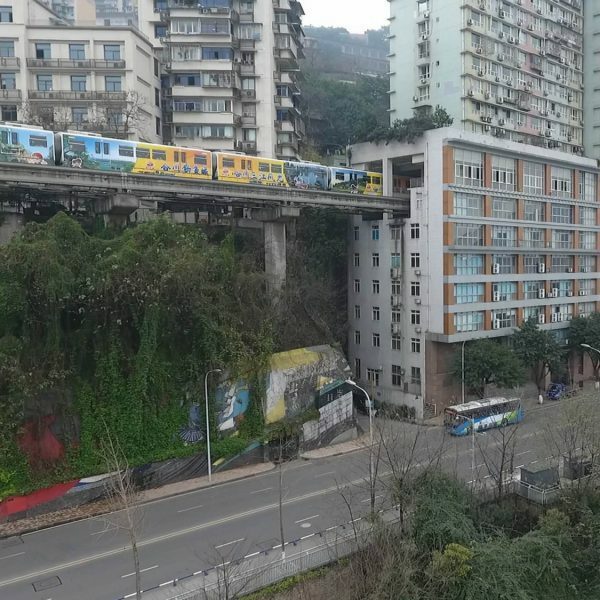 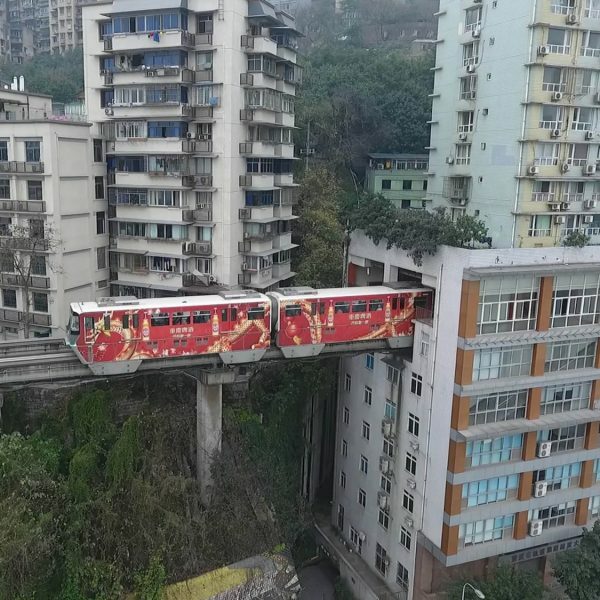 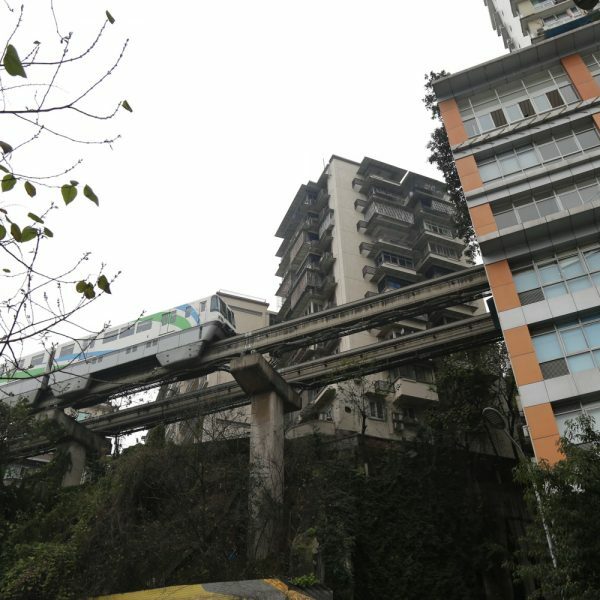 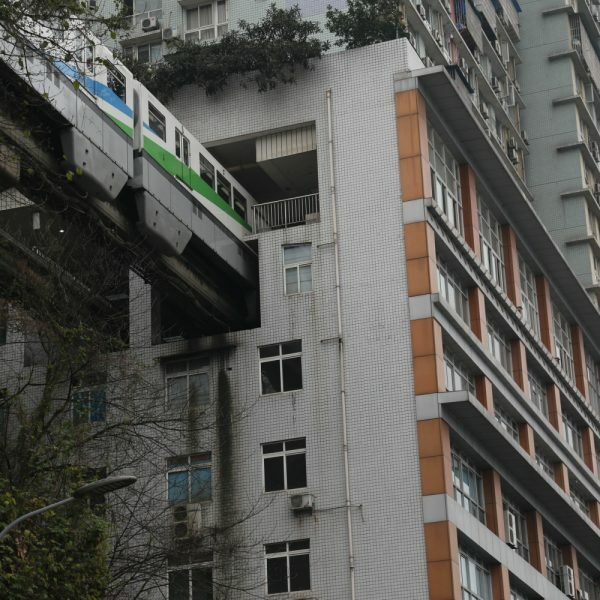 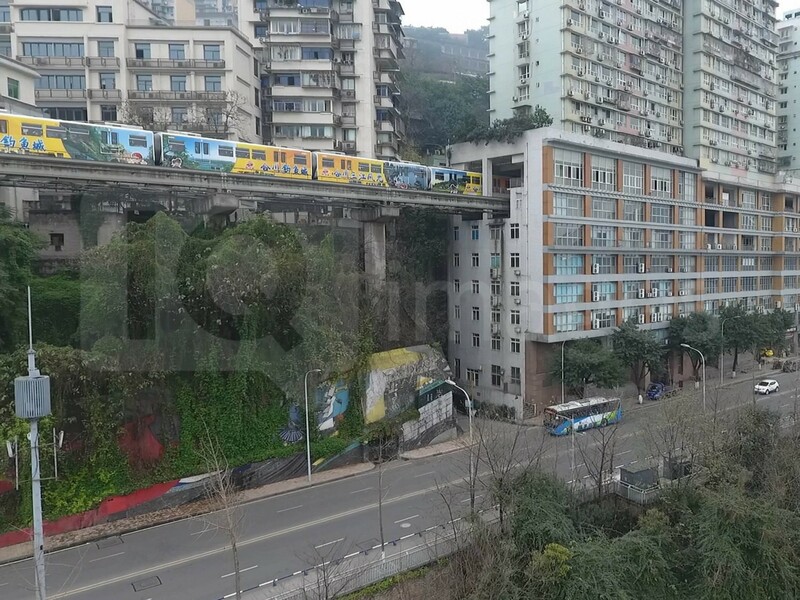 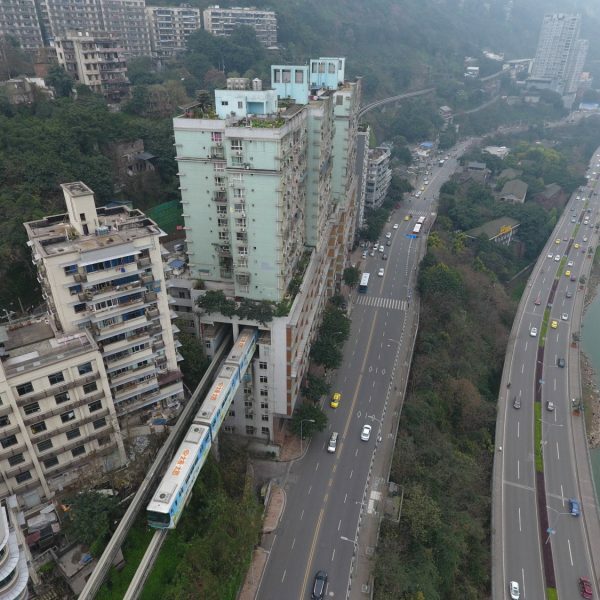 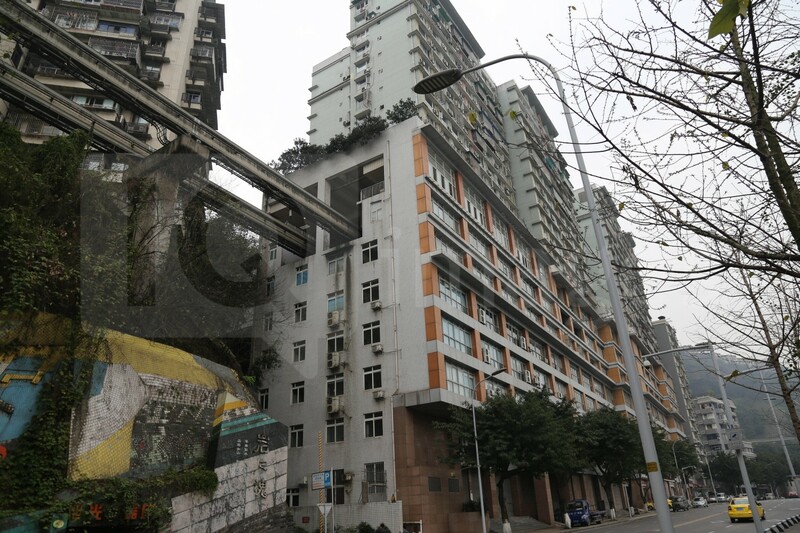 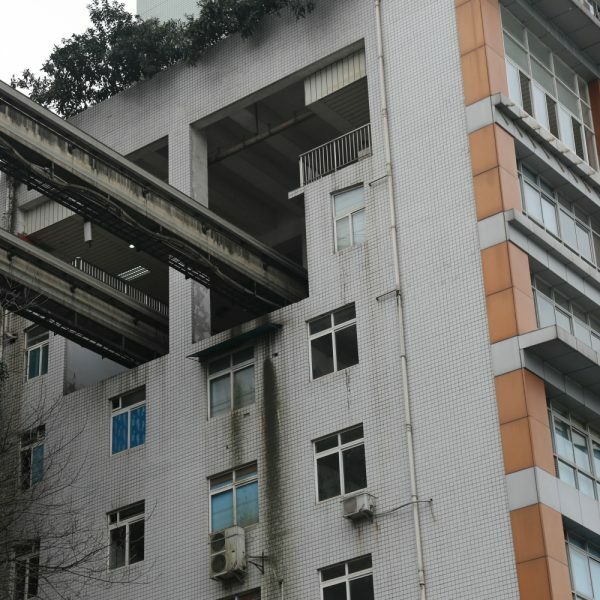 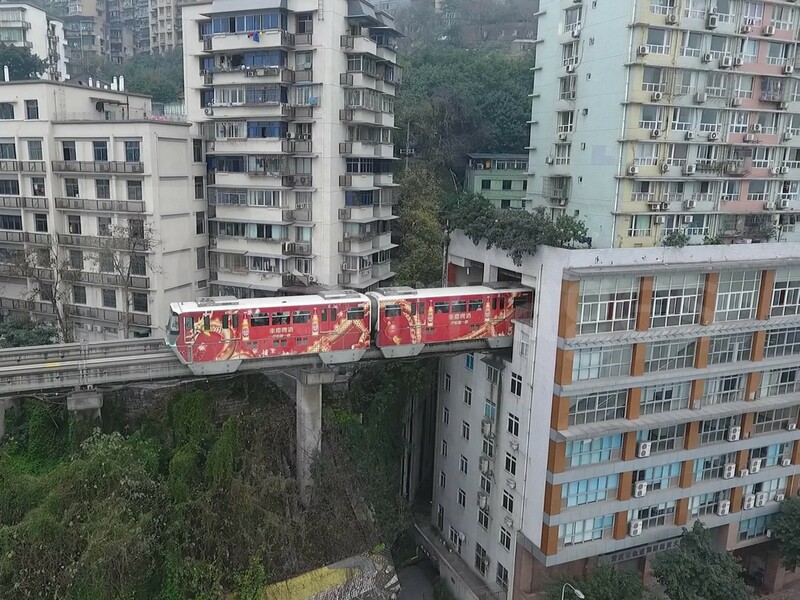 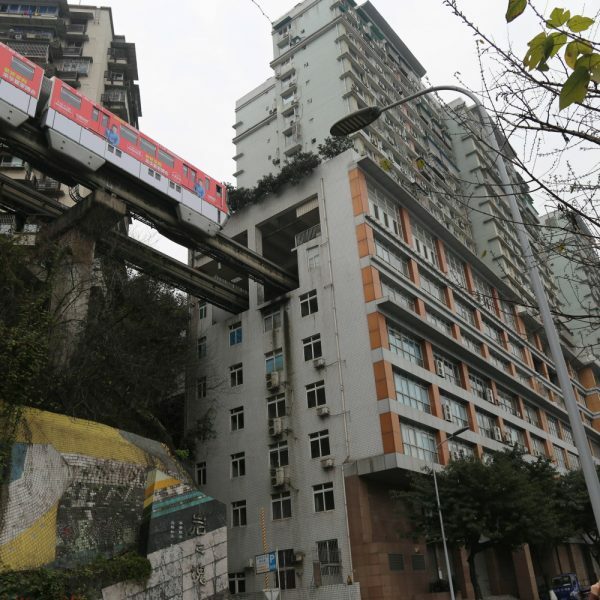 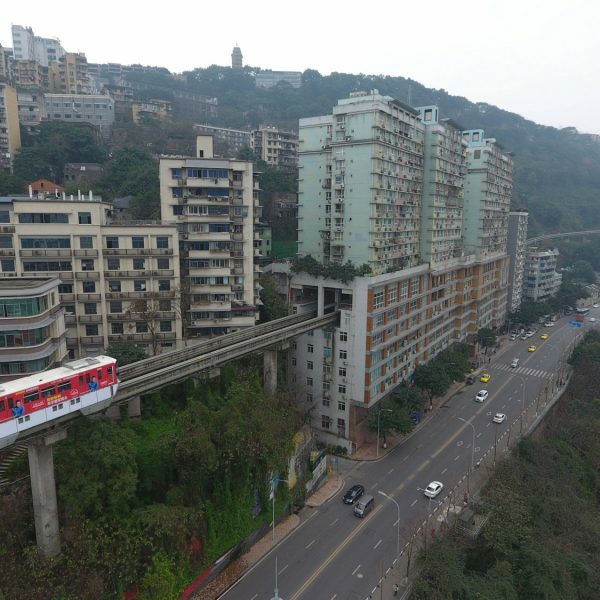 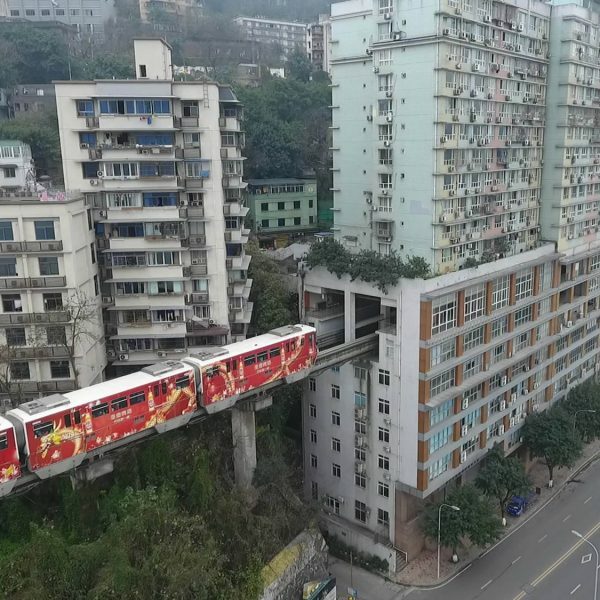 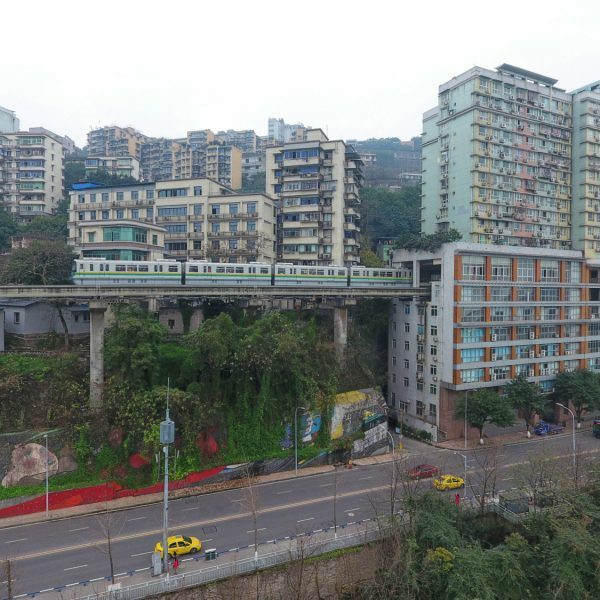 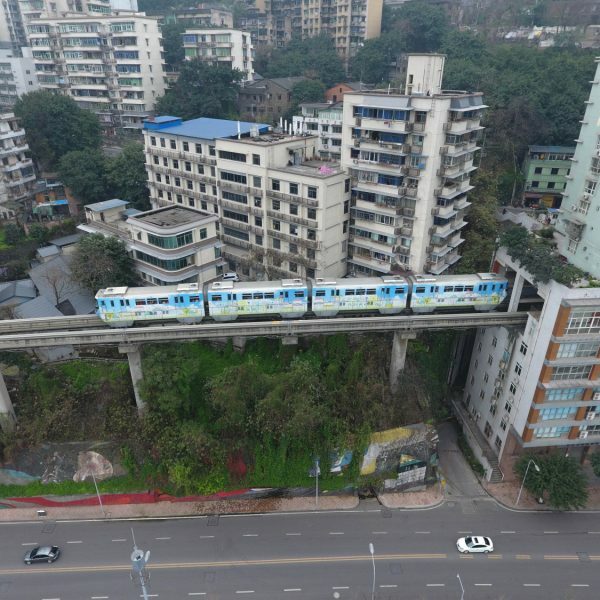 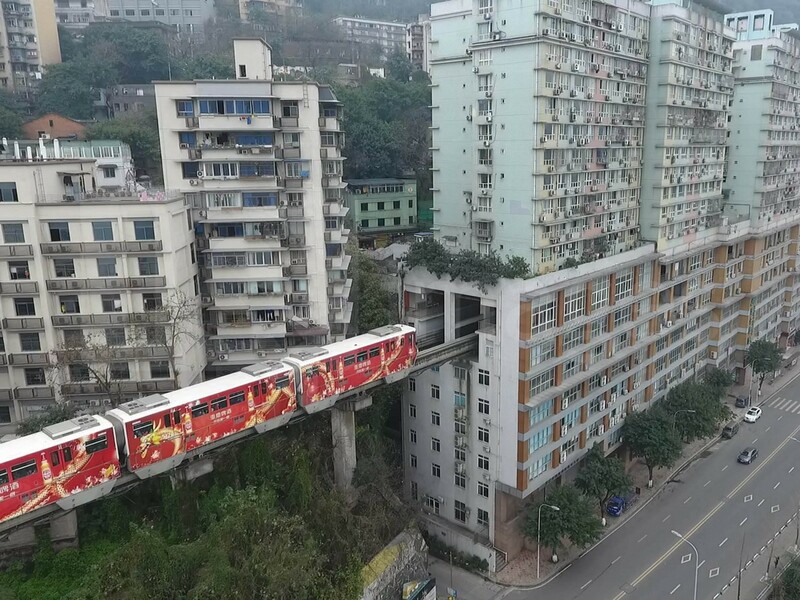 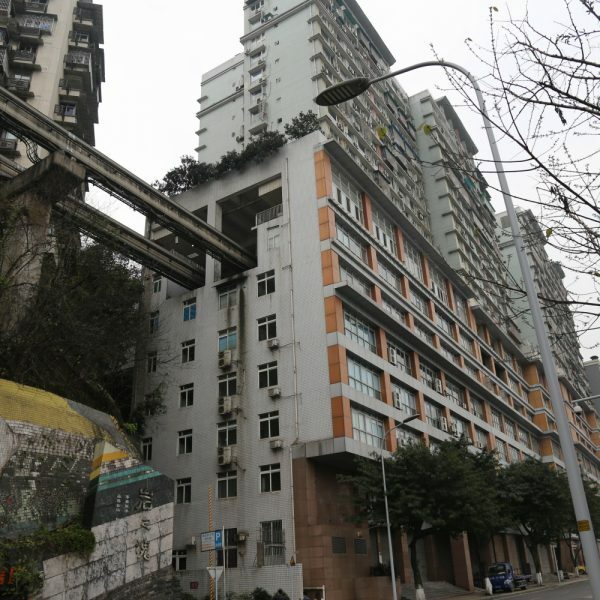 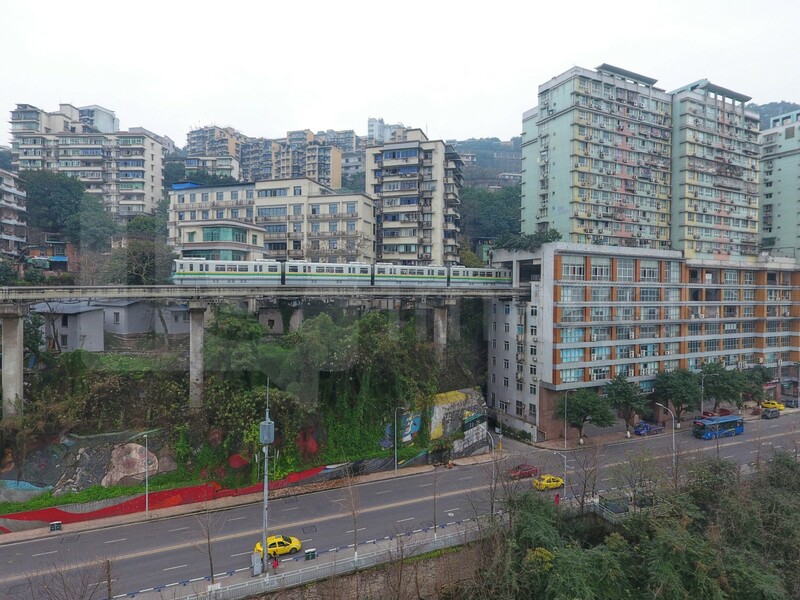 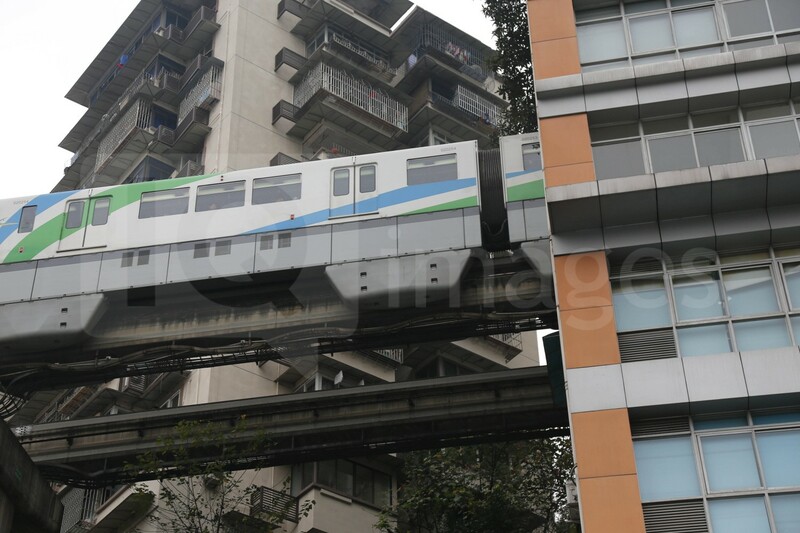 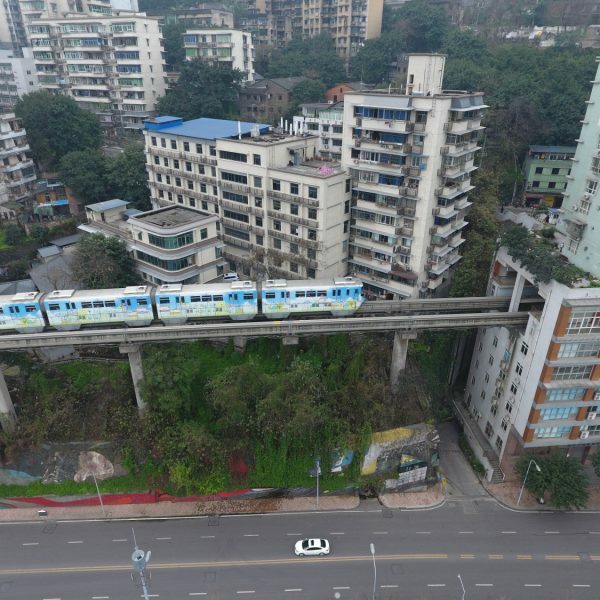 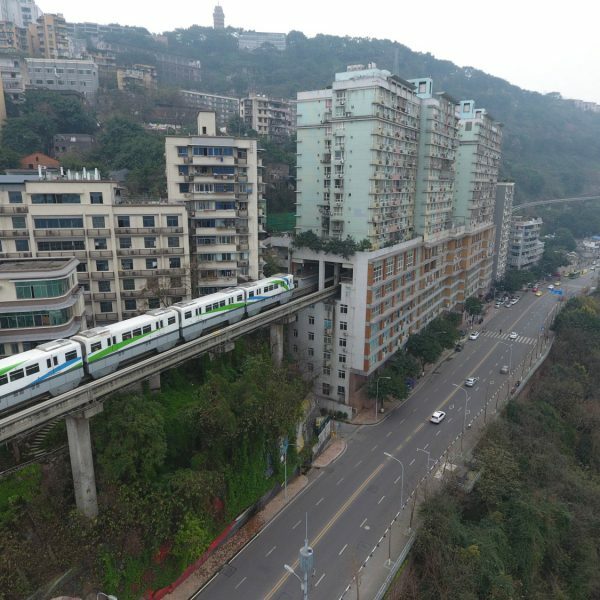 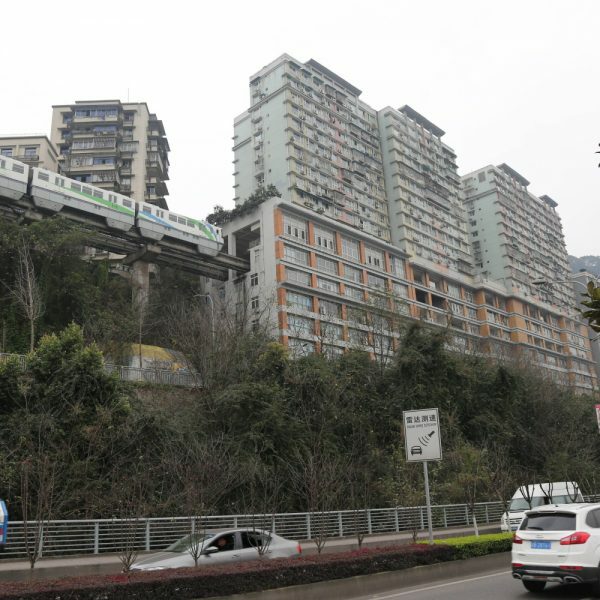 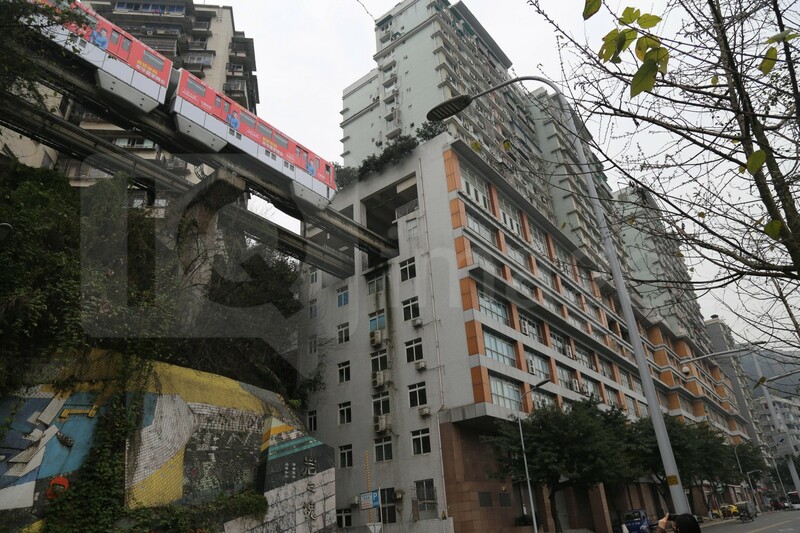 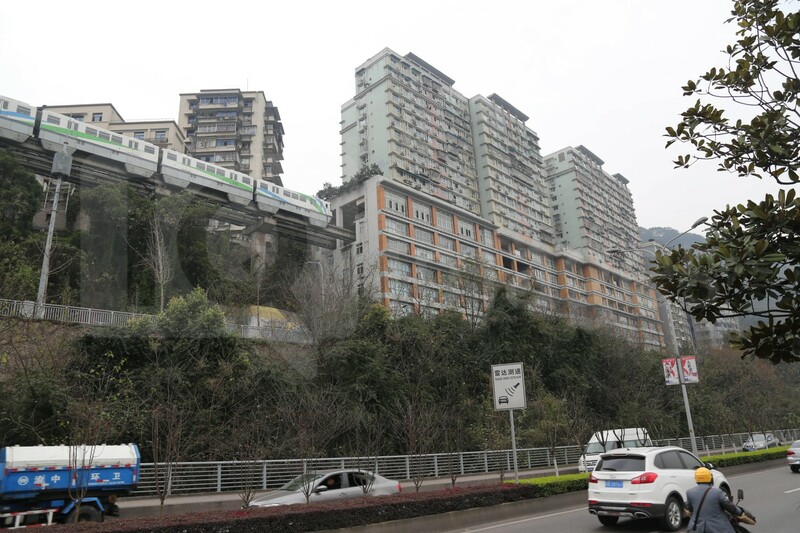 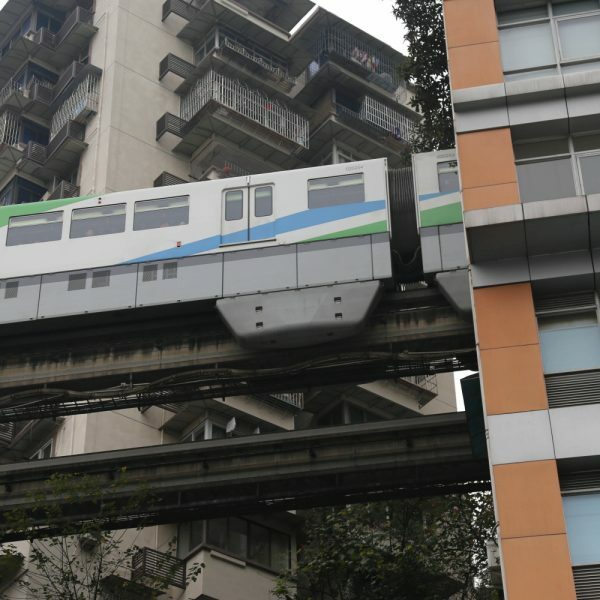 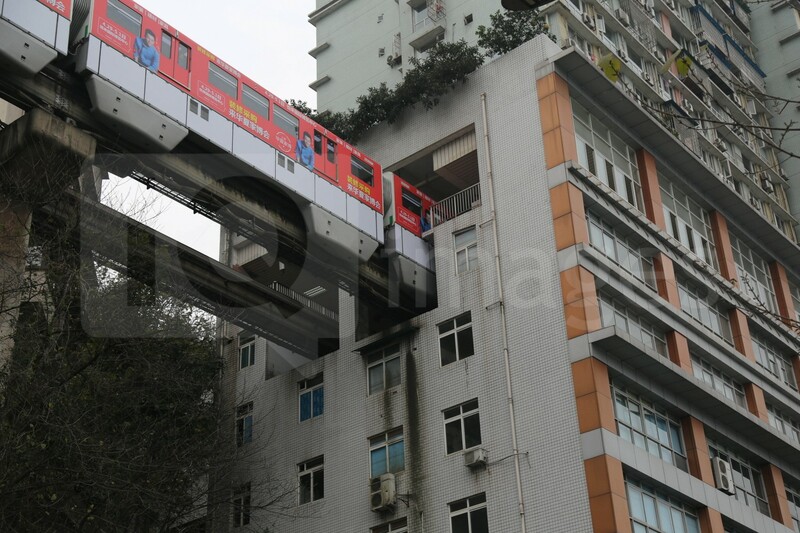 A light railway train passes through a residential building in Chongqing, China. 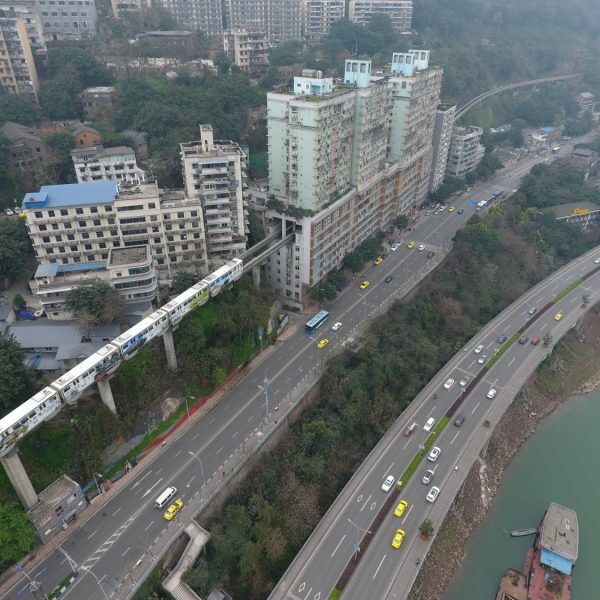 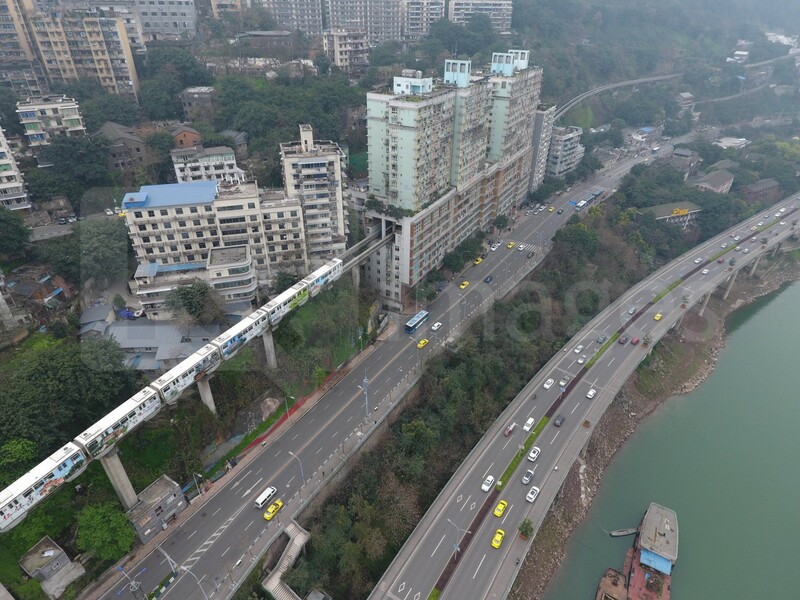 Chongqing Rail Transit No.2 and a 19-storey residential building have been built across each other. 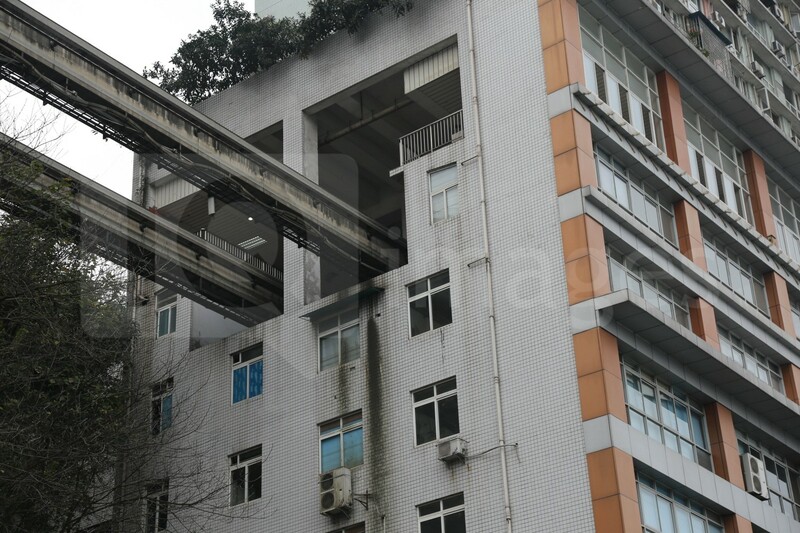 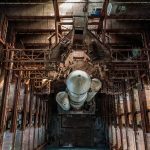 The railway set its Liziba Station on the sixth to eighth floor in the building with noise reduction equipment.